When you first go to https://dublinschool.joinourclass.com you will be prompted to login. If you are responding to the initial JoinOurClass invitation, you will see a slightly different screen that will allow you to set up a password or to use your Facebook, Google Plus or Linkedin account to log in. Classes show students organized by freshman, sophomores, juniors and seniors. Groups show students organized by faculty advisors and dormitories. Staff shows current staff members. 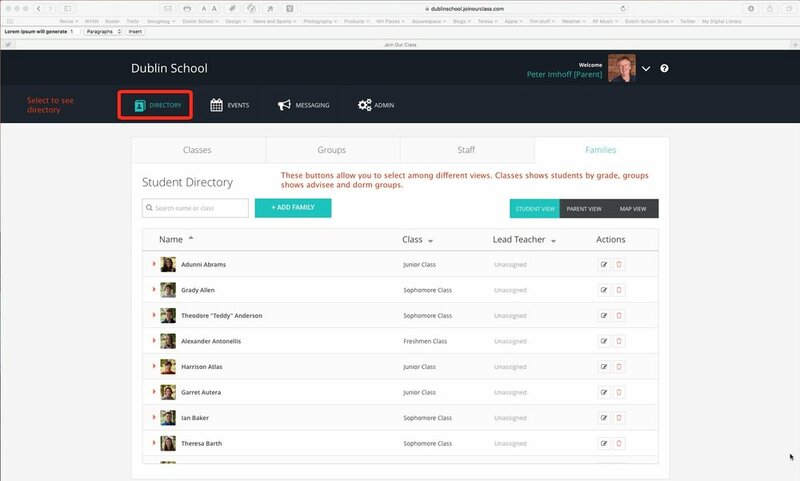 Families shows students, parents and a map view that will allow you to see other families located near you. The map view may not work in all locations globally. If you click on a class or group, it will show you all members of that group. If you click on any member of that group, it will show you additional information such as parents information. You can update your contact information or upload a photo by clicking on the small editing icon. When conferences are available, you will be able to register for a conference by clicking the Events tab. You will then see all of the available conferences arranged by teacher/advisor. Clicking the Sign Me Up button will allow you to register for a conference. 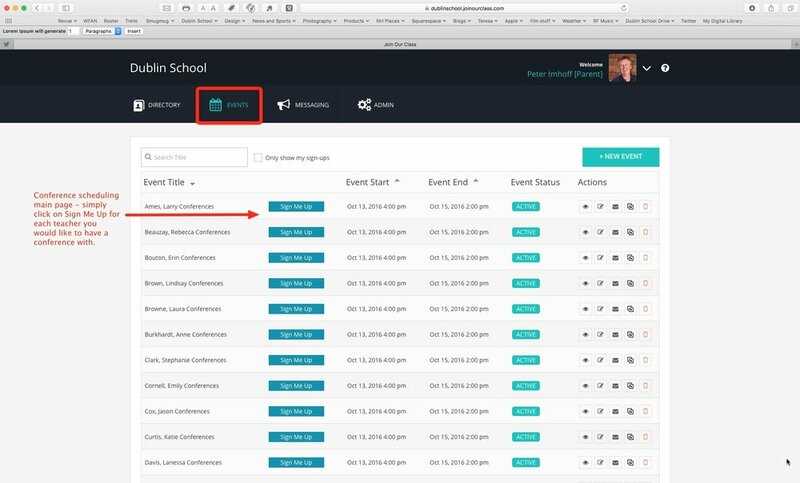 The dropdown box allows you to select the day and time of the conference.